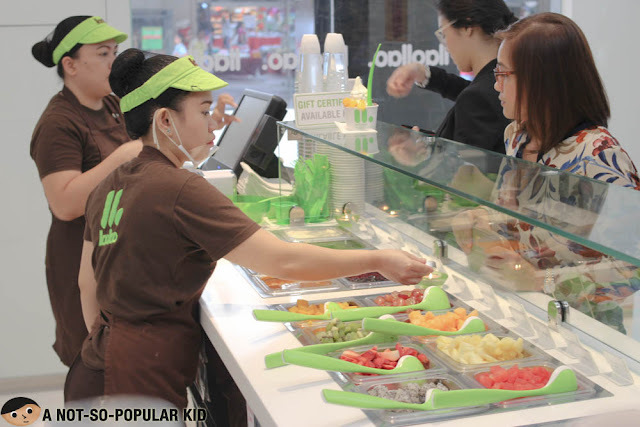 Llao Llao has taken Manila by storm with its delicious natural yogurt goodness. It originated from Europe particularly Spain which is why you pronounce the name as "Yao Yao". Right now, people are going crazy over this dessert, so let's check it out! For a quick preview of Llao Llao, you may want to check this video we prepared. The yogurt of Llao Llao indeed has this "natural" taste, as you'll hardly notice the sweetness because it's all balanced. In fact, I'll say that it's really more yogurt than soft serve ice cream, which is not the case for other yogurt stores. Hence, expect a delicious blend of sweet and tangy goodness in every spoonful. Now, my only concern with Llao Llao is the inconsistency when it comes to the yogurt serving. There was more than one time when our cup has obviously less yogurt than usual. Perhaps placing some standardization will make it fairer for us foodies. 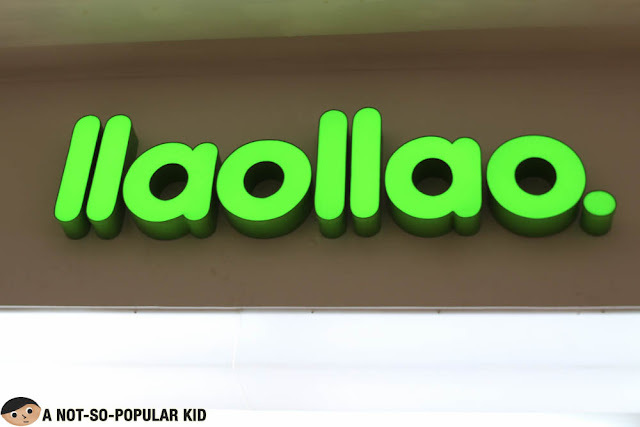 This is the only drawback I have for Llao Llao. 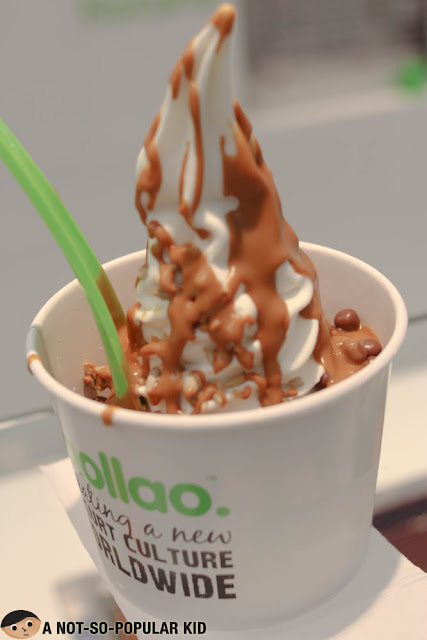 Overall, Llao Llao qualifies as impressive given the great taste, and I'm not the only one believing in this. Just see for yourself the crowd lining up here. 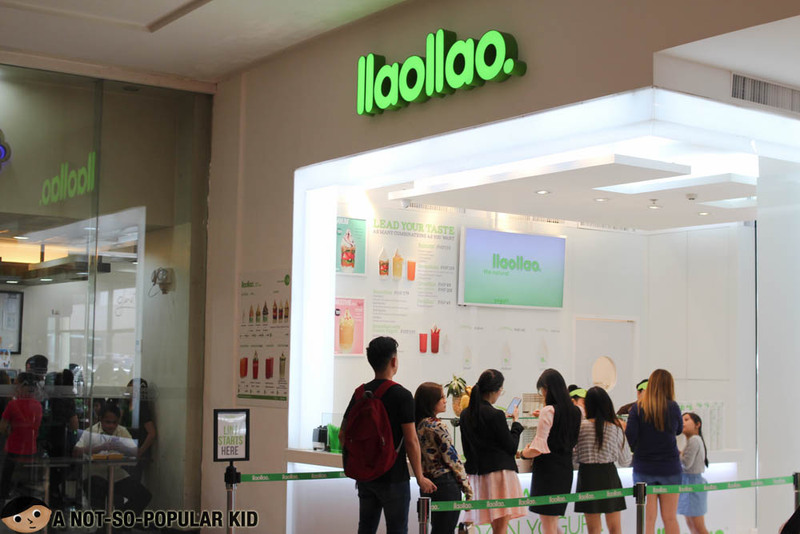 Looks like Llao Llao is able to somehow bring yogurt back to its glory. Now, we are interested in what you think about Llao Llao, so do drop a comment and let us know what you think!